Sign up for Broadjam today to follow Yaron Daffan - The Voice Within Music, and be notified when they upload new stuff or update their news! Yaron Daffan has had extensive experience in Composition, Performance and Production. 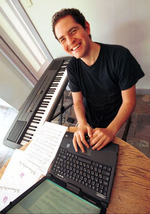 He has been pursuing this with a variety of successful performance groups in Israel and Australia, involving different styles such as Classical, Jazz, Orchestral, Electronic, Rock, World, New Age, Folk and more. Yaron’s music motivates the listener to pursue their inspirations, to access their raw creativity and transcend above our daily existence. Currently focusing on film scoring, always involving a unique visual and sensate ambience. 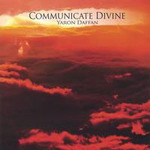 "I have been pursuing Music for a substantial amount of my life and perceive it as a way to discover myself, pursue joy, gain self control and as a means to self-expression"
His recently released album "Communicate Divine" has acclaimed great accolade amongst the New Age community, both online and in retail stores. The album can be found in a variety of selected online shops - iTunes, A Cup of Music, CD Baby, and more.